I can offer a solid opinion on this, being that I am a service based solopreneur, and that I have used both Weebly & Wordpress to create my own sites. And, I have also worked with a design agency to create a site for me as well. So, I’ve gone down the DIY route & the finding an expert route. And I’ve been down the Wordpress route & the Weebly route. I also think I am well placed to write this because I AM NOT A DESIGNER, I am a business owner who does quite enjoy the process & control it gives me designing & updating my own site. Having run 6 or 7 sites at this point, potentially more! And worked on many, many more via clients & during my corporate career, I’d like to go through my thoughts on what each platform can provide you and hopefully help you make the decision. I’m going to start with Wordpress as this is the system which is more recommended (mostly by designers). With wordpress you have basic CMS System, and then you use Themes which give your website or blog the visual appeal. There are literally tons of different themes out there. Whether you want to go for minimalist, image heavy, something super feminine, or a professional corporate feel. If you want a theme which is highly customisable then I suggest spending a little bit more. Usually I look for themes at around $50 which give me the option of customising to my specification. If you decide to work with a designer then they will often do the research for you and find a suitable theme to meet your needs. There is a lot of choice out there with regards to wordpress themes. Some people see this as a benefit and site it as one of the main reasons for going with Wordpress. I personally find it overwhelming. Too much choice can lead to poor decisions, there are a lot of good themes + a lot of poorly designed ones. I’d suggest searching for “The Top [insert main function you are looking for] Wordpress Themes”. But, make sure you do your research! Find reviews on the theme you choose and make sure that the developers are still around & offering theme support. Don’t go for some obscure theme that only 10 people have downloaded and you can’t get any help if (and when) something goes wrong. If you are DIYing with wordpress themes it is going take some getting used to. The first 3 sites I designed using wordpress were absolutely terrible! Slowly but surely I got a little better, but, my design work is still very much in the lacking category. If you have a natural eye for design then, as long as you get through the technical side of learning how to design using the backend of your wordpress theme, then you might be okay. For time poor, design poor people like me I’d say it is a lot more hassle than it is worth as it takes a lot of time to learn! So, find a designer! You’ve probably heard that you can use plugins to add additional functionality to your wordpress theme. Because wordpress is open source and very popular, there are developers all over the world contributing plugins in pretty much any category. Whether you want to add an email popup box (but be careful now Google is penalising for this! ), social media share buttons, or a new comment box, there is a plugin. In terms of adding additional functionality wordpress scores high. HOWEVER. And for me this is a big HOWEVER. Too much choice is not always a good thing. It is very easy to get very trigger happy, wanting to add every single plugin that you can to your theme so that your website has all the bells and whistles, until suddenly something breaks! Or, your site starts to get sluggish. For every plugin you have, you have to remember they will each have updates and new versions. And wordpress will also release new versions. So, over time your plugins generally start breaking and having issues. At least, this is what I have found in the past. This is one of the main reasons I actually don’t think Wordpress is the best platform for service based solopreneurs, it gets way too confusing and then time intensive when stuff starts to break! Wordpress have a self hosted option, and an option to host it through wordpress itself. Most people recommend that you get a hosted option with someone like Godaddy. I do agree, that if you build your site with wordpress then go with another hosting provider. The only issue with this is, in general I have always had to deal with more spam because of it. Whether it’s fake comments or fake users signing up, spam has always been an issue whenever I’ve used Wordpress. SEO plugins like yoast make wordpress a really SEO friendly way to build your website or blog. Even if you know about meta-titles and keywords and alt tags, it is very easy to forget to put your knowledge into practice! I still forget and I’ve been in SEO for many, many years. It is one thing to say, “yeah I know that”. It’s another to actually, consistently use that knowledge. So, the yoast plugin is great for that. You can also find plugins which will help you with internal linking, adding breadcrumbs and a whole numbers of important SEO on-site tactics. I’d rank Wordpress high in the SEO category. There are plenty of free themes, to get a premium wordpress theme you only need to spend around $50. Then you have your hosting, roughly $5 - $10 per month. And your domain, roughly $15 - $20 per year. In total you are looking at roughly $150 - 200. Weebly is not an open source website builder which means there is not as much choice when it comes to the visual design. However, the themes they do have are very clean, minimalist and modern. Somehow their designs are light, not clunky at all which I often find with wordpress themes. This is not to say you cannot build a minimalist, light looking site with wordpress. However, because of the huge range of choice with wordpress, in the end the design does tend to get very clunky. This is the main reason I prefer Weebly, and will always stick with Weebly if I am building a site for a service based business. That is a simple site with my service pages, my blog and potentially some products. It is sooo easy to use Weebly to design a good looking site. I have been complimented on my Agency’s websites more time than I dare to count - no joke. I have never been complimented on the design of any of the sites I personally designed through Wordpress. The reason, is that the functionality is limited, so it is very hard to go wrong. It’s pretty much drag and drop. You can choose different types of pages and then you build out each page with text + images. Because of the drag & drop, and the intuitive way they have designed the system, it is much, much easier to design a site with Weebly. For a DIY option, I would definitely say go with Weebly every time! Weebly offers you pages, posts and a store. So you have all of the building blocks you need for a service based business website. It is pretty lacking on extra functions, for example, say I want to add in Social Share Buttons, I am not able to get the exact type of buttons I would prefer on my site because there is a lot less choice. It definitely is light in terms of adding additional functionality and customisation. But, why do you need so much functionality???? I certainly don’t! I just want a good looking site which works, is fast and converts. All of that can be done with Weebly without spending tons of time tweaking stuff that doesn’t actually help with results. Another reason I love to use Weebly, is the security. I have never had any issues with spam when using Weebly and I feel like as my site is hosted with them that it is extra secure. I have always suffered from spam using Wordpress hosted with a separate hosting provider. Having had a lot of experience in SEO throughout my Digital Marketing Career I can comment on this! I will say, with my Digital Marketing Weebly site I have not found the site ranking as well as with Wordpress. BUT, I can’t blame this all on Weebly, you can perform SEO on any site. Some, you might find it slightly easier than others to do but as long as Google can crawl your website then it is not going to penalise your site for being built on Weebly instead of Wordpress. It may however find that there are less tags, categories and links to crawl through because you found it more difficult to add these into your Weebly site. I haven’t done as much link building for my Marketing Blog as I have for other sites I’ve worked on, which is also a factor. I have a couple of great links, but I haven’t been focusing on Guest Posting as I wanted a really good solid bank of content first. I would say that SEO is slightly more difficult to execute with a Weebly site, but by no means will you be penalised for using Weebly. As long as you ensure your site is optimised, you provide quality content + link to it, you should rank! You can start a weebly site for free, they will even give you a weebly domain name for free! So, if you want to trial it out and see if it’s the right platform for you hop on over right now. There is no reason not to try it and honestly, I reckon you are going to love it - I do!! If you do decide to use Weebly for your business website then you definitely need to buy a domain which should cost around $15 - $20 annually, or, if you go for Weebly’s Starter Package they will give you a free domain up to the value of $20. The Starter Package is $7 per month paid annually. This will get you hosting, an e-commerce store with up to 10 products (perfect for your services), drag + drop website builder, free templates, free domain and no ads. So basically everything you need!! Sometimes they do deals so you can also get Adwords credit as well - yes, they give you free traffic. The result, Weebly works out cheaper than Wordpress, in total $84 per year compared with $150 - $200 per year using Wordpress, according to my calculations. I hope this has helped you decide which platform is best for your project. As usual let me know your thoughts in the comments below! For any business to be considered relevant in the marketing world today, it goes without saying that it has to feature a blog on its website. A blog in simple terms is a regularly updated website written in a conversational style. Does this mean that you should just feature or have any article on your blog for it to be optimized? Most bloggers and business owners tend to focus on the quantity and overlook the quality of content of the posts published on their sites. Many people tend to think that for your site to be optimized for the search engines, you just have to publish content regularly. ​This is not wrong and it is not right either. What matters is the quality of the content being published. We should maintain high standards for the posts published on our blogs. As it is often said content is king but in all honesty, quality content is king. Therefore, the content in all your blog posts should be comprehensive, be of appropriate length and use the correct format for your blog. Mobile optimization is the process of ensuring that your site/blog is user-friendly and can be accessed with ease by people who visit your site using a mobile phone. A recent report from Hitwise showed almost 60% of the internet searches are carried out through mobile phones. It is important to note that most sites are not responsive to mobile phones in spite of the fact that majority of online users access the internet using their mobile phones. For instance, when I think about myself I only use my laptop for work, most of the times I use my phone to access the internet and at times(most times) I have found myself not able to view or access some of my favorite sites using my phone. Is your site mobile optimised? Simply replace the Ginger Marketing Url for your own and refresh the page to get your results! We have all experienced this at some point in our lives. You come across a very interesting blog title one the web, the topic catches your attention… you save the link to the post so that you can read at a more convenient time for those of us who have toddlers, you ensure that they are nicely tucked in bed so the chances of getting distracted are very minimal, almost non existent. You then open the link, but you, unfortunately, get the error 404 message. Man its annoying!!!! I'm sure you can relate! Most people who experience this will dread visiting your website if at all, they ever think of it again. It is absolutely important to ensure that all the internal and external links on your site are working as intended. ​Most preferably, the links should open a new tab or window to ensure that your website visitors who may not be done going through your page remain on the page while scanning through the other pages on the website. Proper and well-done links improve the ranking of website pages, ease the site’s navigation and most importantly add value to the site’s visitors. If you use Weebly we have written a post to help you Fix Broken Links check it out it is very easy to do and will improve your site usability + your SEO. A slow website is very bad for business. Time is a very valuable resource in business and time wasted is never recovered. It is important to closely observe and improve your site’s speed. If your site is slow, chances are that you will lose your visitors/customers to your competitors especially if you offer the same goods or services. Online tools like Google’s Page Speed Test help measure your site’s speed and your rank in terms of speed as compared to your competitors. Check out this post for step by step instructions for checking your site speed. Time is money, and for every second you delay you lose a dime. Repurposing your old content simply means updating the old content. When it comes to repurposing your content you do not just go for any content in your “archives”… you simply go for the very best. ​The one that earned you more traffic, the one that made your website trend on social media the one that people are still interested in and will still be in a few years to come…the evergreen content. You can repurpose old content in so many ways. Some of the ways include; creating podcasts or videos in these podcasts you discuss the same topic, sharing sections of the post on your social media pages. As discussed above, we repurpose the old content different ways apart but these ways do not include copying and pasting the same information as this can get you penalized by Google. This is bad as it causes a drop on your SEO instead of an increase. There are different strategies that can be used for SEO, different people use different strategies depending on their sites, however, it is advisable to conduct a thorough research on what strategy would work best for your business. We are super excited to share this guest post from Gina Caro at Gypsy Soul today. We reached out to Gina specifically to see if she could share some of her insight on formatting blog posts because we've had fantastic feedback from clients about the work she has done for us! Gina Caro is an award-winning blogger, freelance writer & editor for Mumsnet Devon. She currently lives in Devon with her partner, two kids and a crazy dog. She runs two blogs Gypsy Soul. A bohemian lifestyle and simple living blog & Water Gypsy A travel, lifestyle & family blog. There is no doubt that running your own blog takes a lot of time and effort. To start with you need to think of ideas for content. Then there's the writing and sometimes researching involved for the post. The next step is to get people to actually read it. One thing that can make or break whether a person sticks around to read your blog is how you format your post. Here are 10 tips for formatting your blog post. Subheadings are great for breaking up your post into more manageable chunks. People these days are short on time, they want information fast. If they're confronted with a big block of text they are likely to skip your post for someone else's. Use your subheadings to break up your writing. Readers should be able to to get an idea of what your post includes by your sub headings. Adding your keywords into subheadings will also help with your SEO. For further help with SEO, I'd recommend installing the YoastSEO plugin. Another good way to break up your text is by using bullet points and number list. These are great for skim readers as they can take in the information in short bursts. It's good practice to keep your sentences short. Use the white space to your advantage. If you struggle with this then try the Hemingway App. It's free to download and highlights where your sentences are hard to read. How you present your text is also very important. You should always align your text to the left or justify it. ​The font style should be easy to read and not too small. It's best to avoid script fonts as these can be difficult to read. The font colour is another important factor to consider. The most common set up is black text on a white background. If you want to add some colour to your text you can always colour your sub headings. The size of your font is also an important factor in formatting your post. If the font is too small some readers may not be able to see it. Highlight Important Text in BoldIf you have a particular point or message then highlighting text in bold makes it stand out from the rest. To avoid the grammar police make sure your spellings and punctuation are correct. There are various apps and programs that can help you with this. 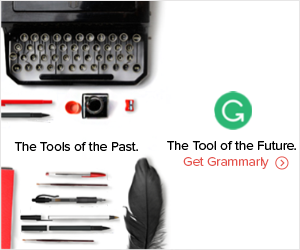 One that is particularly good is Grammarly. Some blog themes have wide content columns. This can put readers off. To rectify this either choose a new blog theme or adjust your column width. Generally, 80 characters or less is ideal. It's good practice to include images within your blog posts. Not only does it help to break up text but it adds a visual element to your post. All your images should be good quality and as big as possible for your blog theme. Try to have at least one image per post. It's always best to use your own images or you can source royalty free images online. Check out sites like Pixabay and Unsplash for this. Hopefully, you have found this post useful. If it seems like a lot to remember then why not create a tick list. Use if for every post you write and tick each section as you complete it. As usual we'd love to know your thoughts! Have you got any tips about formatting blog posts to add? * This symbol indicates an affiliate link, we only recommend products & services that we personally use ourselves & deem to be of high value. Keyword research shows that thousands of people are researching What Is SEO Copywriting on Search Engines like Google, Yahoo! and Bing each and every month. Content should form the base of every single SEO Strategy out there!! Without high quality content you will find it very difficult to rank your site, so it's no wonder so many of you are wanting to fully understand the topic of SEO Copywriting. Whether you are thinking about hiring an SEO Copywriter or DIYing it yourself, we will cover the basics in this post, you never know, we might even give Jeff Bezos a run for his money. What is the definition of SEO Copywriting? The right SEO practices increase the quality of your website by making it user-friendly and easy to navigate. Google then rewards your website with more of that lovely, free traffic! Now that we know what SEO Copywriting is how about we move ahead with some few SEO Copywriting Tips. The first impression is said to be the lasting impression and while a book is not to be judged by it's cover, your target audience is unlikely to be interested in the rest of the blog post if the heading is nothing but captivating. The heading should also contain the keyword for the blog post. This assures the readers that the rest of the post is about the given topic and it encourages them to continue reading the post. Top Tip: Optimise your header image for Pinterest & pin your post via Tailwind for an extra boost in traffic. Okay, so we know this isn't strictly a copywriting tip. But copy & imagery go hand in hand! Does your blog have an instant wow factor at first sight? Beauty is said to be skin deep for humans, but in the SEO “world” beauty means results or no results. No-one wants to hang around on a post which looks outdated, messy and unattractive. You don't have long to impress your readers,make sure your blog posts look great! Use fronts which are attractive & can be read easily. Ensure the text and imagery are formatted correctly and ensure consistency. Insert catchy photos and memes where necessary and don't be afraid to show some personality! Research has proven that more than 70% of online readers scan through content instead of reading it. You will be surprised to learn that even those who forward or share content to other readers have not gone through the content themselves. A beautiful and well-formatted blog “breeds” the right audience. Power words are words which connect with your reader on an emotional level. 1. Free tips for SEO Copy writing. 2. Special offer to my followers. 3. Find the top secrets that guarantee successful weight loss. Power words excite and influence readers to continue reading the blog post and take a call to action, such as sharing the post with other readers, or signing up to your email list. Cite sources from other trusted bloggers and websites. Often blog owners are very cagey about linking out to other resources, but in fact this can improve your SEO! Linking out to high quality sources increases the quality of the readers experience because they can easily access more information on a given topic included in the post. Just make sure you are linking to relevant and high quality sources of information. SEO Copywriting Tip 5: Strike a balance between writing content that is engaging and interesting to the readers and writing for Google. At this point, you might be wondering what writing for google means. Allow me to break it down for you in the simplest of terms. The days when SEO copywriting was all about keyword density are long gone. Avoid throwing around your keywords in your content without reason. It will effect the flow of your content and make your copy hard to understand. Google cares a lot more about user experience, Make sure you cover your topic in depth, that the reader will come away knowing exactly the answer to their question. What is SEO Copywriting all about to you? Do you have some more tips that you would love to share? Comment below and let us know.